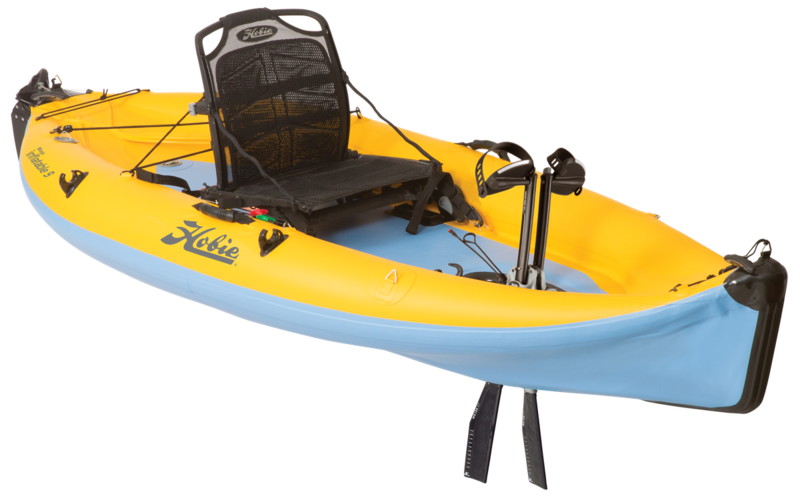 Hobie’s i9S was specifically designed for people shy on spare acreage but who dream of spending their time kayaking, fishing or sailing (via the optional Sail kit). 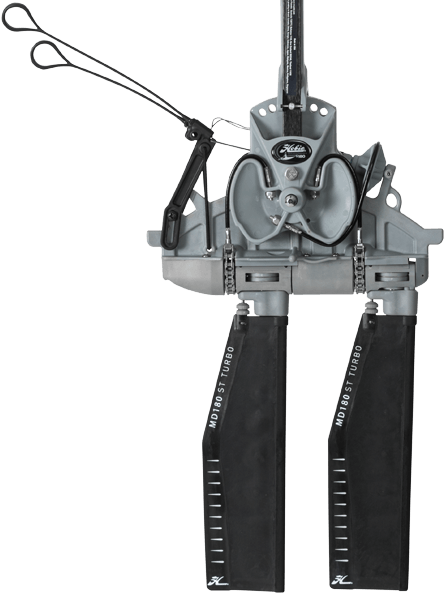 The compact i9S offers on-the-water performance that rivals rigid boats, and its rugged, PVC-vinyl construction and reinforced underside eliminate fears of rocky beaches. “Drop Stitch” refers to a method of construction that allows for much higher inflation pressures. 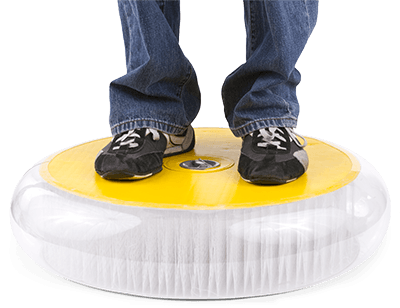 Thousands of tiny threads connect the top and bottom layers of the floor, counterbalancing air pressure when it is inflated. This allows for remarkable structural rigidity (and increased performance) without sacrificing portability. The Hobie i-Series is the perfect choice for the kayaker who is short on space or storage. When portability is paramount, Hobie inflatables easily fold up and pack nicely within the included rolling travel bag.